The roads, highways and bridges that are the visible “backbone” of our transportation system are only a portion of the infrastructure that serves as the nation’s central artery of commerce and economic activity. What we often cannot see, that is just as critical, is an equally impressive network of underground infrastructure that we depend on to deliver our energy, water, and communications. We often take for granted how massive these two networks are and how much work is involved each day in order to safely and effectively build, manage, and maintain this critical infrastructure. Today more than ever, the challenges we face to constantly maintain and update the surface infrastructure including the growing demand, deterioration, inadequate funding, and a lack of available space are only becoming increasingly greater. What we may not realize is that these same issues also threaten the complex network of the subsurface systems that are hidden directly below where we live, work, and play. Unfortunately, this buried infrastructure is often damaged during repairs and maintenance. When this occurs, not only are our daily activities disrupted, our environment suffers and in the worst case, it can cause serious injury and even loss of life. These damage events occur far too frequently, and they are largely due to a lack of accurate information about the infrastructure’s exact location under the earth’s surface.
" Using ProStar’s solution for new construction, we were able to commission our project in just a few days as opposed to several months. " In North America alone, there are more than 30 million miles of buried utility lines including; electric, gas, fiber optic, water, and sewer works. The vast majority of the buried infrastructure was installed more than half a century ago, was never intended to support current population growth, and exacerbating the problem, it has not been adequately managed or maintained for decades. As this buried infrastructure often lies directly below the transportation systems’ corridors, any groundbreaking work required on either system directly impacts the other. The type, location and condition of the surface systems is often evident to us as we can see it, but for the most part, the same information of what lies below is often not accurate, not known, or has been lost. Not knowing the type, condition and precise location of these facilities poses a serious problem for construction workers and heavy equipment operators who are required to work on these systems. In fact, conducting any construction or maintenance activities is difficult to complete without running the risk of an incident and potential for pollution, serious injury, or fatalities. 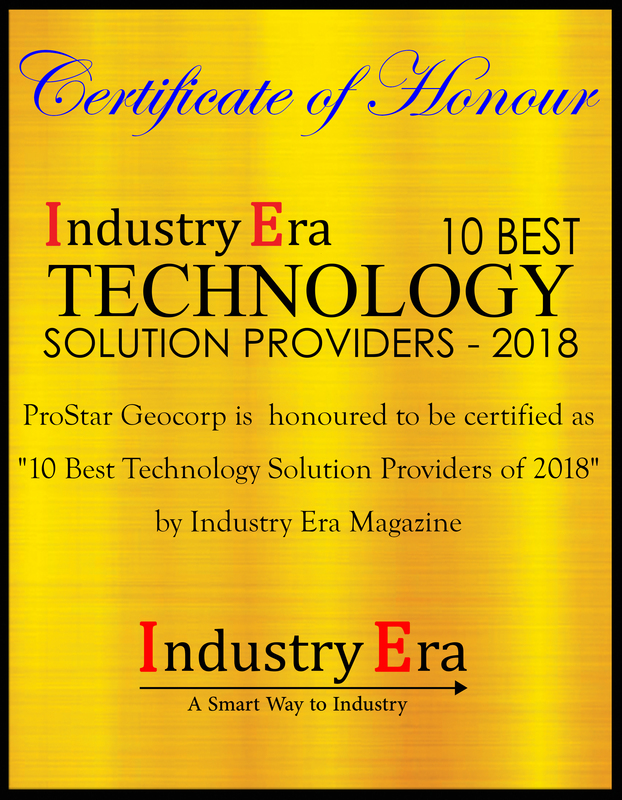 ProStar Geocorp specializes in the development of Geospatial Intelligence Software™ designed to precisely capture, record, and provide visualization of what lies below the earth’s surface. ProStar’s solution is specifically designed to improve the entire asset management lifecycle of this infrastructure, including planning, construction, and maintenance. 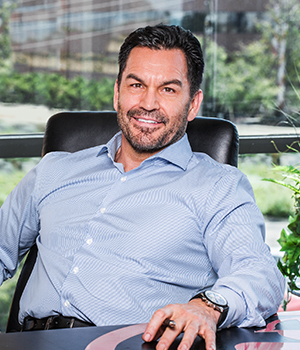 The company was founded in 2014 to provide its patented Geospatial Intelligence Software to industries where knowing the precise location of subsurface assets is critical to the success of their business operations and safety practices. The idea was spawned by looking at mapping systems including Google Maps™, Bing™, and OnStar®, respectively, all of which are designed to provide basic location based mapping services. ProStar‘s solution provides similar location based mapping services, but it is designed for industries that require a much greater degree of mapping precision. Utility, Oil & Gas, Construction, and Engineering & Surveying are a few examples of industries where knowing the precise location of buried infrastructure is critical in providing more efficient and safer business practices. The company’s first commercial engagement was a strategic development partnership with the world’s largest petroleum pipeline company. Two years later ProStar signed its first commercial SaaS agreement with a large Midstream pipeline client. Since then the company has acquired numerous clients in the oil & gas industry and just this year the company began penetrating other verticals by acquiring clients in government agencies and industry leading companies in sectors that include United States Department of Transportation, utility, construction as well as engineering and surveying. ProStar's flagship solution, Transparent Earth®, is a web-based cloud solution offered as a SaaS (Software as a Service). This means that for a monthly subscription fee and no additional hardware or software costs, clients can simply login to their account to access ProStar’s cloud and mobile applications. This provides for a very low cost, easy to adopt, and secure platform with virtually no barrier to entry. “The use of the word 'transparent' in Transparent Earth is two-fold,” explains Page Tucker, CEO and President of ProStar. First, it allows users to see what lies beneath the Earth’s surface. Secondly, it means ProStar’s solution can create transparency throughout the enterprise where data can be easily accessed, viewed, and shared. “We embrace both modern and open-source technologies as opposed to creating a proprietary business model that many of our competitors have created over the past few decades,” he further states. “This means we can leverage and embrace other open source applications that have been developed by other software and hardware providers throughout the world as opposed to developing everything ourselves or creating limitations of working with only a few select partners’ applications.” This approach also makes ProStar very flexible and agile so they can quickly shift to adopt new technologies or standards whenever they are introduced. Through their patented ProStar Precision Integration® processes, clients can leverage their legacy technologies by simply and seamlessly integrating ProStar’s solution to enhance their existing operational systems. This also means that there is minimal change or disruption to current business practices. ProStar's solution was designed to run natively on the Cloud and to manage precise location data. That means by utilizing standard Cloud services like Microsoft Azure, Mobile operating systems such as, Android and iOS, web browser services such as Chrome and Safari, and embedded or external global positioning systems, ProStar’s solution can deliver location based services with qualified and precision data ranging anywhere from mapping to survey grade data quality. ProStar's solution is also a data aggregation platform designed to integrate with a variety of GIS and CAD systems, as well as other data sources that constitute the enterprise systems of a client. The operational systems of an enterprise are often fragmented, creating independent silos that limits the ability to access and share information across the enterprise. “Using our patented and precise integration processes we are able to create a single platform that aggregates data silos into one seamless system and standardizes the data using accepted global open data standards such as the PODS™ (Pipeline Open Data Standards) and OGC® (Open Geospatial Consortium),” says Page. This means, that at a click of a button, critical data is now available to any worker on their desktop or mobile device, anywhere and anytime. In addition to integration with client enterprise systems, ProStar’s solution also leverages the Internet of Things (IoT). Leveraging the IoT means that 'big data' from other sources which can be rich in valuable information, but that are either not currently available to the client or simply too cumbersome to access, can now be used to improve all phases of the business operations. With ProStar’s solution, weather, fire, earthquake, socio-economic, geological, and other forms of data can now be easily accessed and combined with client data to provide robust reporting and analytics. As populations grow, more assets are being installed underground resulting in growing concerns as to what is already considered to be severely congested infrastructure corridors. Both owners and contractors are beginning to understand the real value in capturing, collecting and maintaining the precise location of buried assets. Not only can they recognize immediate and measurable ROI (Return On Investment) by implementing improved construction and maintenance business practices, they can also see a reduction in the number of incidents that far too often place the public, field workers, and environment at risk. Improving the methods and precision involved in the collection, capture and visualization of infrastructure enables the ability to make more timely and informed business decisions. Perhaps best of all, ProStar’s solution delivers all of this without causing substantive process changes or disruption to the client’s current business practices. ProStar’s services are unique and differentiated from their competitors on the basis of three key elements. Firstly, the methods used for capturing, recording and displaying the precise location of both existing and newly installed assets. Secondly, ProStar's solution is a Cloud solution designed to be open and run natively on mobile devices. This allows their cloud and mobile solution to work together seamlessly with the ability to provide real-time data from the enterprise to the field and to easily leverage any new technologies that are introduced. Lastly, ProStar has an impressive and extensive patent portfolio. ProStar understands that adopting a new technology has two critical components for any organization. Deciding to make the change and then managing the change. To be successful, first and foremost you need commitment from executive management -- ideally at the C level -- and then you need buy-in from every department that the change will impact. The entire organization needs to accept and embrace the change even while knowing that there may be obstacles. Fail in either of those categories and failure of adoption becomes increasingly imminent. “One of the biggest challenges we often face is within the IT Departments as they are understandably very sensitive about data security. But once they understand that data security is one of our core competencies and how we manage data, address data sovereignty and user access and authorizations, their concerns quickly subside” explains Page. One of ProStar's clients constructed an entire pipeline using ProStar's data management solution (from ‘cradle to grave’ as it is known) and as a result was able to obtain permission from the regulator to put the pipeline into service less than 72 hours after construction completion as opposed to the normal period that can take up to 6 months. “Building a pipeline can be a very expensive and involved process as every inch of the pipeline, including all of the materials, procedures for welding, and protective coatings must be approved and meet very strict regulatory specifications,” adds Page. “But through our solution, the client was able to transport millions of dollars of petroleum well ahead of schedule.” Another client was able to capture the precise location of critical assets they did not even know existed according to their own records. This allowed them to assess the location and condition as well as meet regulatory requirements where the cost of non-compliance can be significant.